A DUST mop that uses disposable dusting material has been developed by a Chicago, Ill., manufacturer. 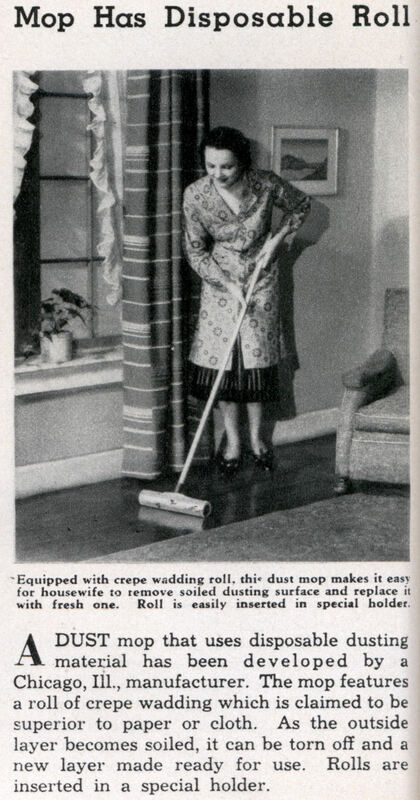 The mop features a roll of crepe wadding which is claimed to be superior to paper or cloth. As the outside layer becomes soiled, it can be torn off and a new layer made ready for use. Rolls are inserted in a special holder.